Just bought this at a flea market. 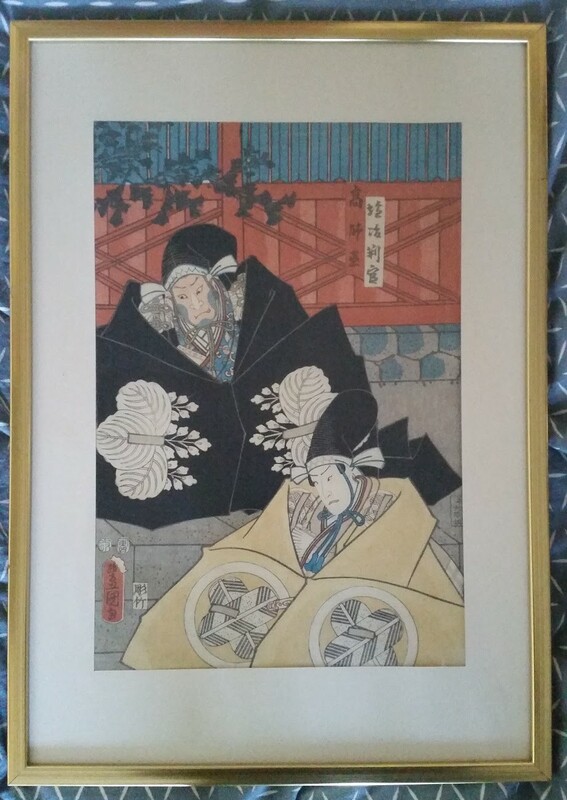 It has been professionally framed and looks like it could be a Japanese woodprint. 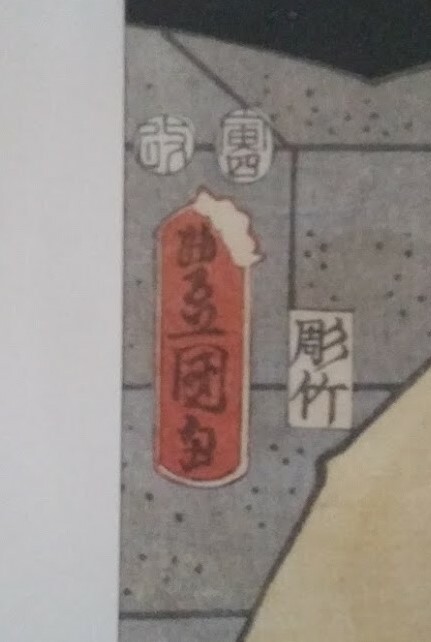 Any information about the painting, seals or subject matter would be greatly appreciated! 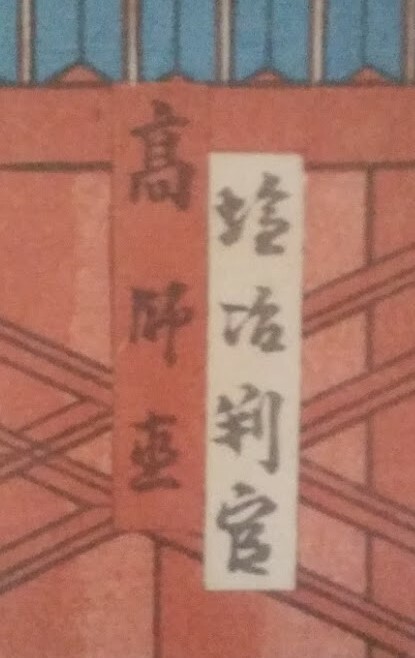 Your print is by Utagawa Kunisada, printed in 1854, and titled 塩冶判官 高師直. For a less faded version, see the link below. 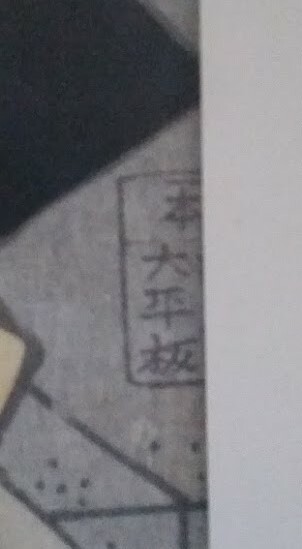 Names of characters from the Kabuki Play "Kanadehon Chushingura"
Thank you both for your replies! This is very interesting!